Last night I finally succeeded in persuading a friend to start Shenmue. It had been a long, drawn out affair. He agreed to play weeks ago but there was always some reason to put it off: my girlfriend was there and would be bored, a Nic Cage movie was on TV, I just got a PS3, I couldn’t find the VGA Dreamcast cable and wasn’t some sort of barbarian who could use S-video, a different Nic Cage movie was on TV, and so on. As always happens when sharing something close to the heart with a friend, I was very nervous about how he would react. When I explained that at one time it was the best looking game on the market he said, “Yeah, this looks really good for 1991.” He probably doesn’t play games or look at calendars as frequently as I do. Had Shenmue come out a decade earlier it likely would have validated the many cults that worship Yu Suzuki’s as some sort of demigod, but even as a game from 2001 it still looks good today. The character models are decent if a little blocky, the main characters faces look very good (though some minor characters look like they have congenital disorders), but it is the sheer amount of detail and complexity that keeps Shenmue visually impressive some eight years later. The textures may not be beautiful (apparently the PS2 couldn’t have handled them, take that Sony fans, Sega rules!) 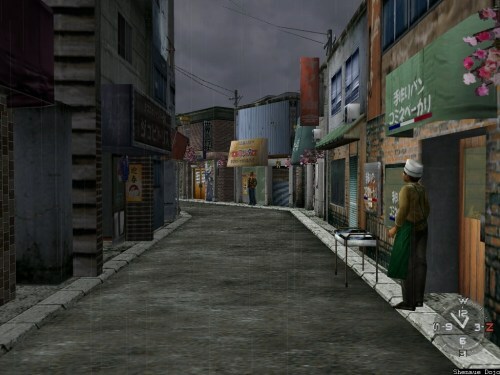 nor the storefronts, trees and benches composed of millions of polygons but the towns of Shenmue are intricately designed. You can see where at least some of those 70 million dollars went. Unfortunately, the voice acting is terrible. It is wooden, stilted and likely poorly translated. I can only imagine the Japanese have terms for referring to “that day of the incident” that doesn’t require “that day of the incident” to be said repeatedly and to everyone. The voice actors themselves range from barely skilled to possibly some sort of talking dog. The plot being delivered in such a laughable manner threatened to entirely undermine not only the greatness of Shenmue in my friend’s eyes, but also my taste in art as a whole (because I told him Shenmue is the pinnacle of human and potentially all alien civilization). There are three ways to cope with the voice acting. The first is to shut the game off and play something that doesn’t focus on “that day it rained.” The second approach is to laugh at the game, which I have certainly done a fair share of. This can, but will not always, lead to the third method of playing Shenmue, grow a thick skin to poorly delivered lines and get swept up in the drama despite it being presented so undramatically. The music of Shenmue always functions as the direct inverse of the voice acting. The worse the actors sound, the better the music playing in the background is. The sweeping score combines with some pretty well done camera shots during cut scenes to almost negate the dialog entirely. I’ve always found the cut scene of Ryo dreaming of his father’s death to be particularly haunting, though the music is not included on the official soundtrack. That I just spent so long describing the game without mentioning how it plays is somewhat telling. 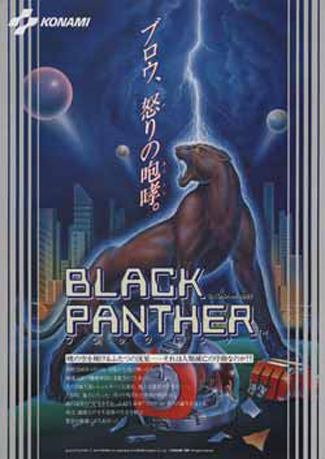 Shenmue’s strengths are mostly frivolous: there is a weather system that matches each day to the real weather patterns of Japan in 1986; there are obscene amounts of detail in every corner of your town; there are dozens of fully voiced people who go about their day according to a realistic schedule; and there are perfect ports of Yu Suzuki arcade games. But the actual gameplay of Shenmue mostly consists of fetch quests. In the roughly 80 minutes we spent playing last night, there were zero fights and a single one button press QTE to keep a soccer ball from hitting Ryo (it was “A”). The rest of the time we spent talking to people on the street about the day of the incident, the day it rained, the day it thundered, the day it snowed, the black car, the men in suits, the old man’s injured back, the mud on Nazomi’s dress, the words Tom exchanged, a Chinese, the three blades, and finally sailors. All of our night’s efforts culminated in the pursuit of sailors. Surprisingly, my friend didn’t mind the game. He wasn’t enamored by it but neither was I the first time I played. My theory on why it doesn’t cause players to instantly go deaf and void their bowels is that despite being nothing at all like successful games like Civilization, it uses a similar reward system that gives constant positive reinforcement to the player. We may have only been performing minor fetch quests but nearly each attempt ended in success and led us a little bit further. This sense of progression coupled with all of the things Shenmue does right is why so many seemingly normal people have been so immersed in Ryo’s world that they mail plastic capsules to Sega of Japan demanding another entry in the series. 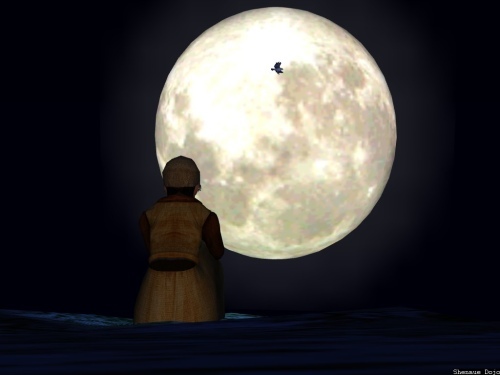 The next time my friend comes by, in spite of everything wrong with Shenmue, I think he may just want to go looking for sailors. Nice article. I just happened to visit the site after quite a while and see something about Shenmue on the front page. PS Which might be my favorite series ever (along with a select few others who come kind of close :P). 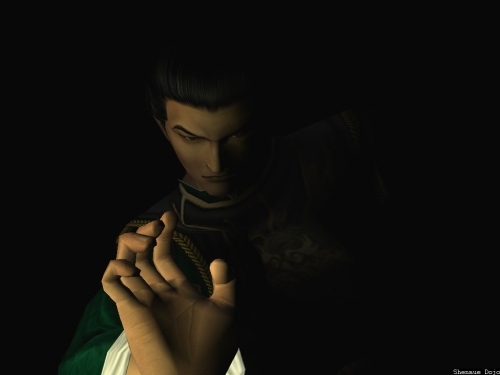 close to half of my (admittedly infrequent) writing is about shenmue and we have several fans of the series writing for the site, so its not THAT unlikely that it will be covered on our front page. glad to find someone else who ranks it among his favorites though. Yeah, long time fan. And it’s actually through something Shenmue-related that I found the site before I think. So I kind of assumed there were some fans on board here. Especially after seeing some articles and the general “old school” vibe around here. I’ve only just recently picked up a copy of Shenmue, I’ve been holding out on playing it until I would find a copy of my own out in the wild. Because of that gentle wait, and the pleasure I had figuring it all out, I’ve largely managed my first playthrough to match the expectations of those that played it as launch.